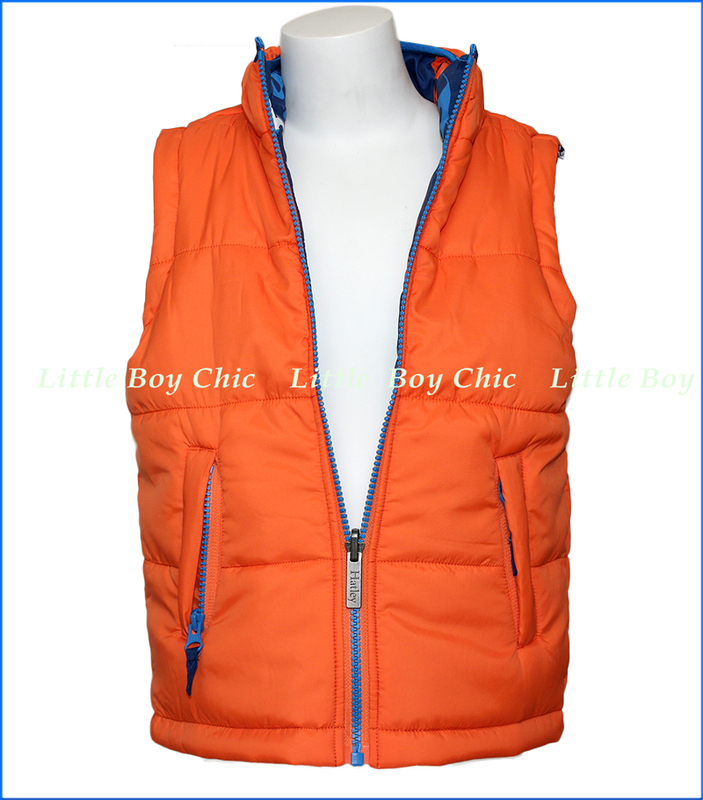 This insulated vest is fun to wear and is perfect for that in-between-seasons weather. Layer it over just about anything: a tee, hoodie, or fuzzy fleece jacket. Waterproof Teflon coating keeps it dry. Reversible, with solid on one side and all-over retro rockets print on the other. Signature zipper pulls up to a mock neck. 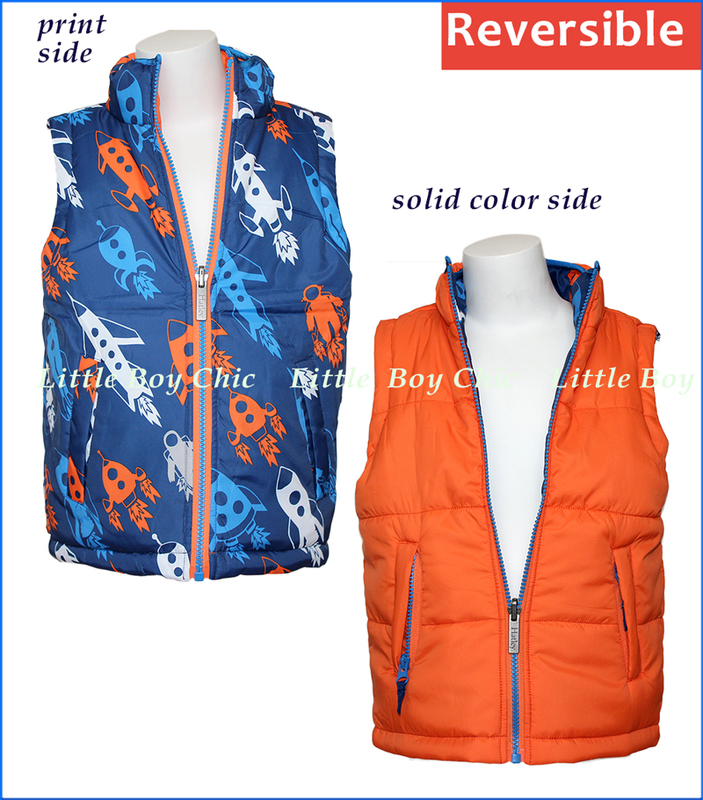 Fleece-lined hand pockets on both sides with zippers on the orange side. 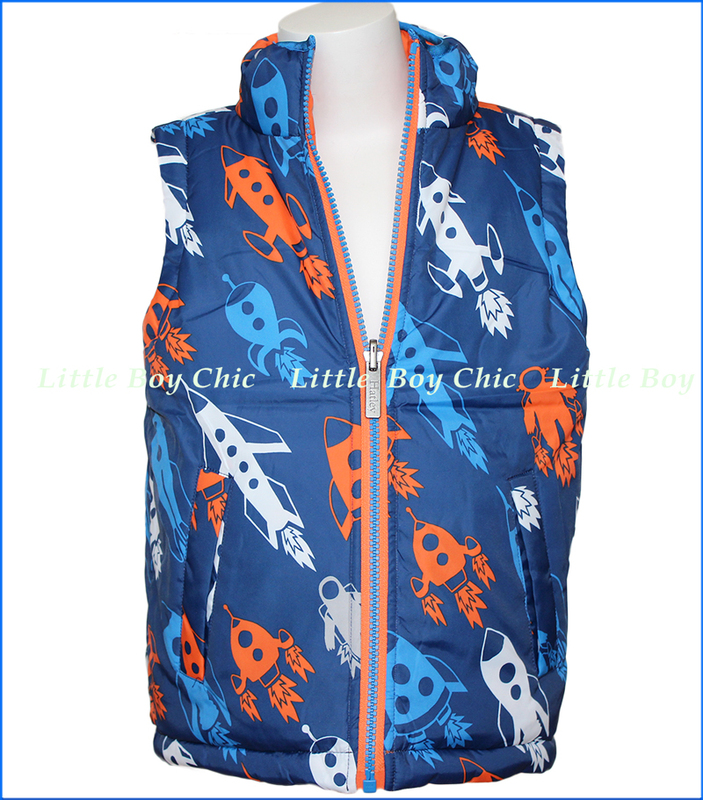 We love how it is well lined and yet remains super lightweight and hypoallergenic.